How to check Paytm wallet balance? How To Send Send money from Paytm to Paytm? How To Send money Paytm to bank account? How to make mobile/DTH recharge, postpaid bill payment? How to add money in wallet via debit/credit card, net banking? So today we are share step by step guide to know how to use Paytm App step by step, how make your life style easy. 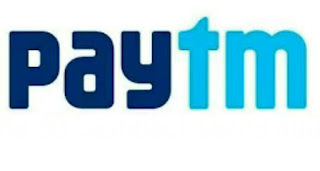 Paytm is online way where any one can make mobile, Data card, Dth recharge. Electricity, landline/broadband, postpaid mobile , gas bill payments, book bus tickets. Online shopping from 5000+ products at Paytm. Today we learn About Paytm Use. 10. your amount will be credited instantly in your Paytm wallet. 2. Click on “PAY” & select option “SCAN CODE”, “MOBILE NO.”, “SHOW CODE”, as you want to send money or make merchants payment. 3. Follow Instruction and make payment. 9. Your Paytm wallet amount simply transferred into your bank account. 1. Visit your nearest Paytm store with yourKYC and verify there. 3. Enjoy unlimited benefits of Paytm. You want to make recharge on your mobile no. then make click on recharge option in side Paytm site / app fill all details about your recharge. Proceed to pay using your Paytm wallet online, your recharge will be done instantly. So friends we carefully write all step by step guide that how to use Paytm. we solved all of your problems here which you face at time when you use Paytm. I just read your article and I must say , it is pretty informative on how does PayTm earns money . Comment I was try to add money with net banking but there is no option for STATE BANK OF INDIA. Reply me reasons. in Jio money wallet users can not add money using SBI net banking. do i need to fill up a form or something like that in my SBI bank to use paytime. Or is it just that i have to install the app and start going.